Batman is one of the most popular characters in the history of comics. As such, he has seen numerous interpretations on television, in movies, as well as in video games. The character isn’t the only thing to evolve over time. His car has also evolved ever since it was first put on screen in the 1960’s. One artist has put together a beautiful retrospective of the history of the Batmobile. Check it out below. The infographic, created by artist Rafael Bencosme, will be going up on Fandango next week as we build toward the release of Batman v Superman: Dawn of Justice, but we’ve been given a sneak peek. It starts with a look at the Batmobile from the original 1966 Batman TV series and takes us all the way up to the present. Needless to say, that original Batmobile is in a class all by itself. It also shows how influential the Batmobile from the original, Tim Burton-directed Batman movie was, for much that came after it. Finally, we see that while Zack Snyder may want to say that his Batmobile is significantly different from the Dark Knight version, it has more in common with that car than any other. If you’ve never looked that closely it’s actually a bit remarkable that many of these cars look as different as they do. Batman: The Animated Series was made following, and inspired by, Tim Burton’s films, so we always thought the two Batmobiles looked much more similar than they do here. In the same vein, Batman Forever was a sequel to Batman Returns and while quite a bit did change between the two films, like lead actors and directors, we didn’t remember the Batmobile changing so much at the same time. The Dark Knight version of the car (which was built in Batman Begins) was always meant to be a drastic departure, as it was the birth of a more "realistic" Batman. The car doesn’t look that realistic, to be honest, but it’s the Batmobile, what are you going to do? 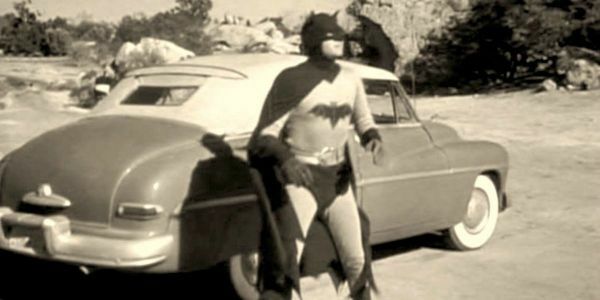 We do have to point out, though, that they forgot at least one of Batman’s on-screen cars. The one from the 1940’s serials. Though, we suppose we can forgive them for that. 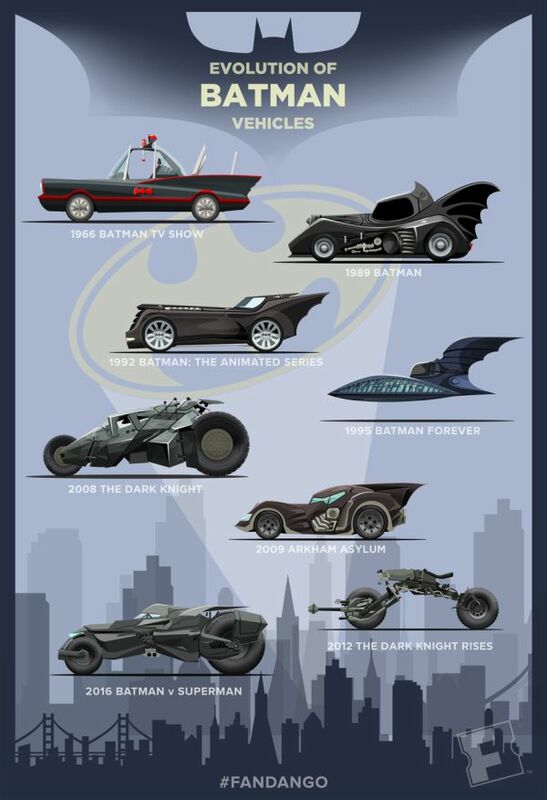 Which is your favorite Batmobile from the caped crusader’s history. Let us know in the comments below.